Risa Jones, half-Aedh/half-werewolf, can enter the realm between life and death. She can speak to the dying and the dead, and she can see the Reapers, collectors of souls. What she can not yet see is the identity of a stranger murdering women and draining their blood. Now Risa must summon her gifts to find him, even if it means putting her own life in danger. But Risa needn’t look far. The killer knows who she is. 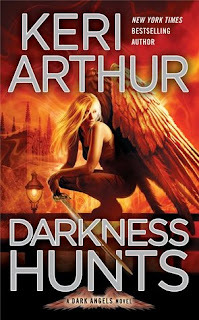 He tells her his victims are infected by darkness and he’s fated to destroy them. Fascinated by Risa, he engages her in a sinister game: the chance to save the life of his next victim by deciphering his series of clues. In a race against time, she enlists the help of the Reaper Azriel. But as an attraction between them grows, so does the fear that the stranger’s motives are only part of a larger, more dangerous scheme—one that has lured Risa and Azriel into the dark. For the most part, Risa Jones' mixed werewolf and Aedh heritage gives her a large advantage over most of her opponents. However, even her ability to see the dead and turn into a being of pure energy can't seem to help her stop a malicious killer that is preying on women. Even worse, he knows who she is, and has turned his attentions to ensnaring Risa into a nasty game of a race between life and death. Meanwhile she's still being targeted from all sides to find the keys to the gates, and even with the help of the Reaper Azriel at her side it may just prove to be an impossible task. Speaking of Azriel, the attraction between them is only growing stronger, but succumbing could lead to an unimaginable fate that neither of them wants. I really love how these books not only follow a strong overall arc theme, but each one also has its own individual plot. This is my favorite type of series as it keeps things fresh by adding a whole new threat element with each installment, but it also strongly ties things together by adding developments to the overall series threat, this case being the Gate Key Quest. Although, these books take that intertwining aspect a step even further by not only having the in your face new threat, but also having several different factions going after the "prize", with Risa stuck right in the middle. There is just so much going on that there isn't a single opportunity to get bored, and that's my kind of book! Not since Mac and Barrons from the Fever series have I been this strung out from the sexual tension between two characters. Sure, there have been plenty of other books where I really want the characters to "get together," but all of those pale in comparison to how I feel about Risa and Azriel. I had thought some of the unrelenting pressure would have been lessened due to them succumbing in the last installment. Unfortunately, it seems to only have brought things to an even higher fever pitch. I realize that this is a series, and Keri can't really have them get their happy ever after yet, but that doesn't mean I don't want to see some kind of promise or hope, or really anything at all between them other than this miserable stasis they are in. Granted, Risa seemed much more willing to give into her emotions, making me really feel for her as she was having a very hard time dealing with the distance forced upon them. I will say that even though Azriel's resistance and emotional armor only slips a few brief times, it is rather obvious that he is suffering from the distance as well. I just cannot wait until they both finally crack, because I think there will be some major fireworks flying. Hopefully that will be in the next book, otherwise I myself might just crack under the pressure. Although the ending left me needing more, I absolutely loved this book! It really amazes me just how much further I get sucked into this series with each new installment released. The only problem with that high level of enjoyment is that it makes the wait between books even harder. That being said, I can easily see myself re-reading this series several times, as it has earned itself a solid place on my all time favorites list. 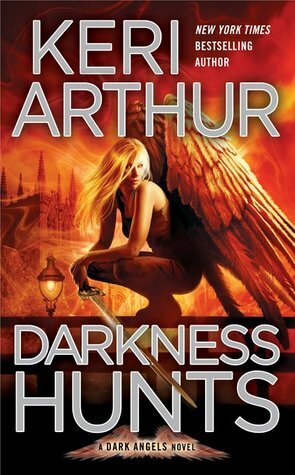 Fans of this series, cannot possibly be disappointed in this latest installment as Darkness Hunts is an absolute thrilling ride from start to finish!